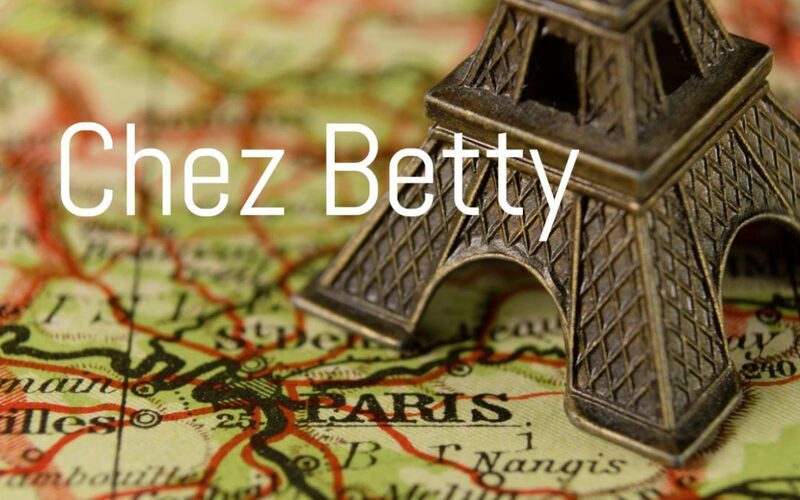 I got interested in writing Chez Betty in connection with learning French. Twenty years ago I started traveling and finally made it to Europe. France intrigued me the most, and since I had taken French in high school, I decided to finish what I started. At first I studied the language alone using tapes, vocabulary and grammar books, and the Internet. Not too long into my studies, I met a French man who was interested in learning English. Since I wanted to learn French, we established a language learning partnership. My meetings with him acquainted me with the Francophile community, some of whom were French natives who found themselves in Madison in connection with the University of Wisconsin. They in turn introduced me to La Maison Francaise, and I was off to the races in my second language experience. Toward the latter part of my employment as a prosecutor, I decided to take a sabbatical and enroll in a French immersion course in France, an on location learning experience. I came across one of the best programs for this purpose in Villefranche-Sur-Mer, the setting of Chez Betty. The name of the school is L’Institut de Francais. I liked the school so much that I attended it twice, each time enduring a four-week, eight-hour-per-day intensive course taught by native French speakers. I also spent several months on multiple occasions living in Villefranche and getting to know the local characters, some of whom are in Chez Betty. This was a rewarding cultural exchange for me. Because I was relatively fluent in French, they accepted me more regularly than a tourist. I did the things they do, and they opened up to me about their daily lives. In the process I discovered that they were not very much different than most Americans. They had the same wants, concerns, problems and likes and dislikes we do. The irony is we have a tendency to think foreigners are, well, foreign, even though they are actually quite familiar. I invite anyone who enjoys travel or France or learning French to blog with me about my book. And don’t be afraid to use a little French.